Bass - but not for me! I went bass fishing the other morning. I knew that there had been a couple of fish caught the day before so I was quite optimistic. 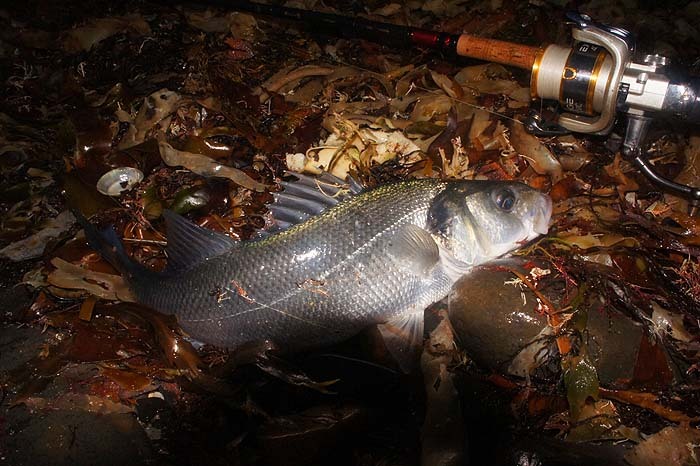 I arrived in the dark and I opted to try a large weedless soft plastic as there was tonnes of weed in the edge of the sea. Mistake! After 15 minutes a few other anglers turned up, including my mate Bill, and I still hadn't had a bite. Being pig headed I stuck to my plan (in hopes of a big fish) while all about me clipped on Pearl Evo Redgills. I'd realised as soon as I started that the weed was no problem - it really was just in the edge and beyond it the sea was more or less clear. 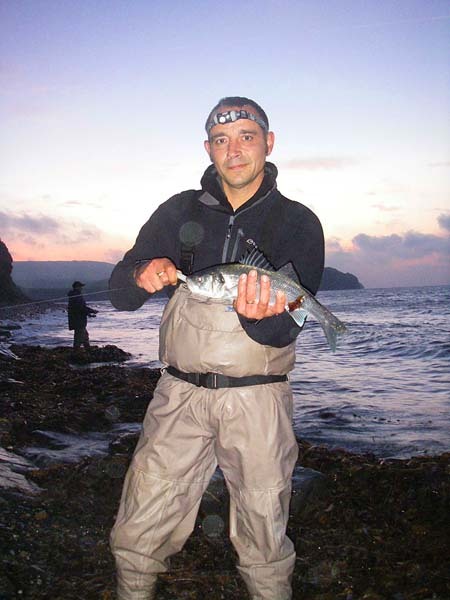 Anyway, it wasn't long before other people started to catch fish - not monsters but nice lively little bass which fought all the way to the shore. They landed one after another and still I persisted (biteless) with my big lure. By the time I packed in Bill, standing next to me, had landed four fish and lost/missed one or two more. I suppose on a different day I might have been lucky and picked up the biggest fish of the day but as it turned out I blanked. Perhaps if I'd been alone I would have changed my lure and caught a fish or two but I had no real incentive to switch when I could see what was being caught by the others. I stuck rigidly to my game plan in hopes of something different - silly old sod! There must be a lesson in there somewhere!